Jack Mencini and Adam Sonnhalter hosts of Dirty Secrets of Small Business welcomed Marcia Pledger, business/financial journalist as their guest on the April 3 show to discuss everything small business! Marcia is a business reporter and columnist for The Plain Dealer and Cleveland.com. She has vast experience covering topics ranging from small business and technology to manufacturing. Her articles include sharing stories of “reinvention”​- either online or in print. Marcia has delved into talking with business owners on such topics as: What drives a person or company to make a drastic change that led to success? Why reinvent the wheel or not to dwell on setbacks? How do you come back after your business has faced a downturn? Marcia drew from her experiences of interviewing some 450 business owners over a 10-year period for her “My Biggest Mistake…and How I Fixed It” column in The Plain Dealer. 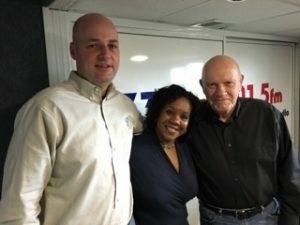 She discussed these topics and many more with Jack and Adam, who have been small business coaches for over 15 years. Jack and Adam shared many of their stories with Marcia by drawing on examples from coaching their clients at Maximum Value Partners (www.maximumvp.com). Through the April 3 discussion with Marcia, the business coaches said that many of the experiences detailed in her book “My Biggest Mistake…and How I Fixed It: Lessons from the Entrepreneurial Front Lines,” are very similar to numerous challenges they have been coaching their clients on. The high-energy conversation with the journalist and business coaches touched on planning, reinvention and having the right partner in business. They shared a common dilemma many family businesses have in how to fire a family member who needs to move on so that the business can succeed. The post Marcia Pledger Shares Small Business Secrets, Mistakes and Successes appeared first on Maximum Value Partners.